Fallen Angels by Connie Dial. Publisher: The Permanent Press (April 15, 2012). Mystery/thriller. Hardcover. 296 pages. 978-1-57962-274-9. 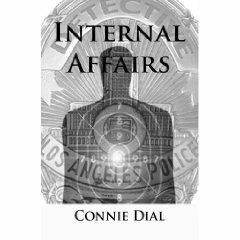 I thoroughly enjoyed and more importantly appreciated the first two mysteries [Internal Affairs and The Broken Blue Line] written by Connie Dial. 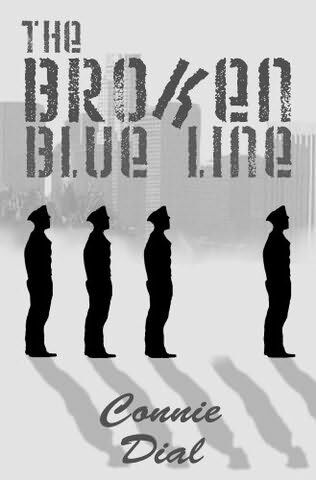 As with past novels, Connie Dial exposes corrupt police officers, shady dealings and poor police work. Her vast experience in narcotics, undercover surveillance and Internal Affairs surveillance glows through the pages. It makes the novel much stronger, deeper. Dial knows L.A. and police work rather intimately and it shows throughout this mystery. As soon as I got confused along came a sentence or paragraph to bring things back into focus. The case is that of a young starlet found dead in a notorious party house in the Hollywood hills. As detectives begin to work the case connections to the department grow increasingly questionable and compelling. Off-duty officers working closely with the deceased? Drugs, shattered dreams and gritty Los Angeles street life seamlessly mingle. Dial focuses on a woman as main character, Captain Josie Corsino. Extremely disciplined despite disorder in her personal life, Josie puts all her effort and time into her work. Josie’s son is a not-so-far-successful musician and her husband, a former prosecutor, left to pursue private practice and personal space from their marriage. Many television shows revolve around the concept of accomplished professional women with disastrous personal lives [Ally McBeal, Damages]. Not new but should continue to be addressed, analyzed, discussed and written about. Interestingly Josie doesn’t know who major celebrities are/ doesn’t watch films yet she’s the police captain in Hollywood. Behind the scenes of a police officer’s life never gets old. Thus mystery/thriller remains a popular genre– Law and Order and CSI remain highly watched television programs not to mention 48 Hours. Dial hits on after-hours, cops’ marriages, working off-duty, office politics and daily minutiae. Fallen Angels unravels in a slow, steady spiral. 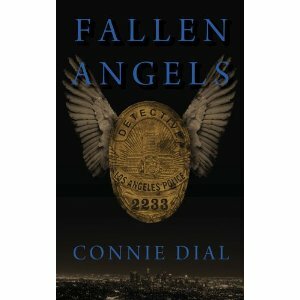 In her debut novel, former commanding officer of the Los Angeles Police Department [LAPD] Connie Dial uses her experience and knowledge to pen a mystery about the LAPD. By choosing the dichotomous title Dial is able to weave a novel revolving around an Internal Affairs investigation of the LAPD and etch an accurate, multifaceted portrait about the internal affairs of the LAPD. Internal Affairs is both a whodunit and a guide to what drives many of LAPD’s finest. When the mutilated body of a West Los Angeles police officer is found in the trunk of a police vehicle on the street in front of the LAPD Deputy Chief Jim McGann’s home all signs point to him as the doer. He had an affair with Alexandra Williams. But it cannot be that easy, can it? Welcome to the LAPD where there are good cops, bad cops, and cops who just look the other way until their pensions kick in. Fortunately Sergeant Mike Turner, investigator for Internal Affairs is leading up the case and he is the type of guy who likes boots on the ground investigative work. He doesn’t like to stay behind a desk and climb through the ranks like his girlfriend, Lieutenant Paula Toscano, adjutant for the Chief of Staff. For Paula, rank and propriety is everything. For Mike, justice and solid police work is most important. These concepts clash as the case moves ahead and more members of the LAPD get entangled in the death of Officer Williams. She loved him but didn’t like this reversion. They should be discussing department policy and long-term objectives, not autopsies and search warrants. She like the adrenaline high too and missed it, but at this stage in their careers, they should be managing cases, not sitting up all night doing the grunt work. She was beyond the nuts and bolts of police work and thought he was, too. He’d told her he was. She knew this business was like a narcotic. Turner had gotten a taste and was hooked again. She’d wanted to call the shots, not do the bookings. He was slipping back into that other world. It was a small crack that in a few more days might become a canyon unless he walked away right then. Her real fear was that he didn’t want the life she wanted for him and would never really accept it. He had so much to offer and was capable of so much more. She felt as if he was settling for the easy, familiar road of his past and throwing away his future. She’d rehearsed saying all these things, making such a good argument, and then he hadn’t come home, at least not while she was conscious. Internal Affairs is a rewarding, solid intrigue as the case gets increasingly complex and the players are reluctant to get involved in uncovering the truth as their own careers may be jeopardized. Internal Affairs provides a riveting glimpse, both expansive and specific, into what police officers might be going through on a daily, weekly and yearly basis in their careers. With Dial’s backstage viewpoint, Internal Affairs provides a snapshot into the lifestyle. Most importantly, the novel delves into the feminist aspect of the police force and the LAPD with “The Mafia,” a group of highly ranked women who meet weekly. Few women make it that far up in the ranks on any police force and Dial touches on this often [the unique challenges and prejudices these women face] in Internal Affairs [I think Dial has a compelling non-fiction book in her about this topic alone]. Internal Affairs is an absorbing read for scores of reasons.